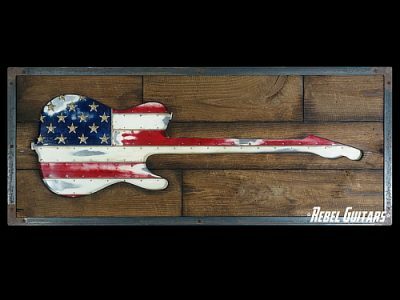 Tired of seeing the same old guitars and designs, artist, luthier & musician Stephen McSwain decided to create a new breed he likes to call “functional art.” Each instrument is hand made, one at a time, and has unique characteristics that make it a highly collectible guitar or piece of art, depending on how you look at it. It all began many years ago with a motor carving tool, some Exacto knives, artistic and musical aptitude passed along and nurtured by Mom and Dad McSwain, and a whole lot of patience and persistence. 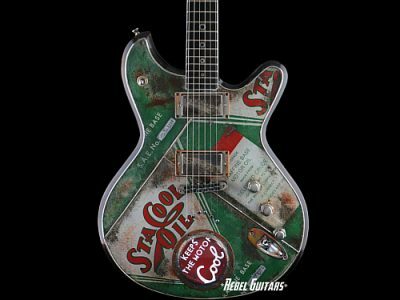 The first guitar body was purchased from a guitar parts supply company as a completely experimental piece. Stephen started carving faces into the wood and eventually ended up with the guitar that is now in the possession of Steve Vai. That was number 0001. 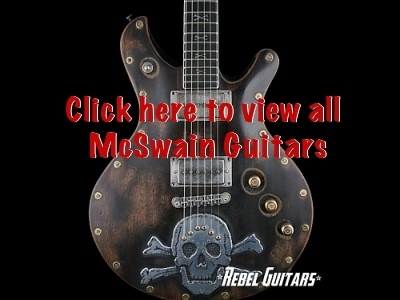 View all the McSwain Guitars we’ve sold.